Note: This is a guest post by Matt Visser, President of VICTIG background screening. For many, hiring the right people will determine success or failure. In this post, Matt offers great advice into how to screen your employees to make sure you’re hiring great talent. 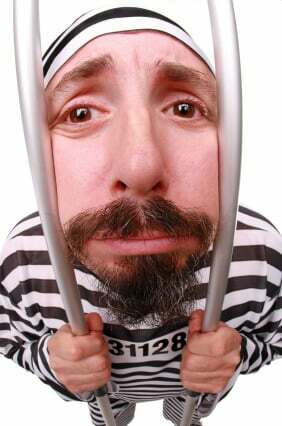 There is no perfect way to do an employment criminal background check. Within the United States, there is very little continuity with how criminal records are handled, stored, and made available from city to city, county to county and state to state. A central repository with criminal records from all areas of the country does not exist. The best way to do a criminal search should include three different components. The nationwide or multi-jurisdictional database search acts like a net that you throw across the country. Most background screening companies offer this service but the quality in these searches vary greatly from provider to provider. Never rely only on this search. Use it as a piece of the background puzzle you are trying to put together. Make sure that your provider adjudicates or investigates each potential record prior to you getting the result. Lastly, never pay more than $16.00 for this search. Social security traces or skip traces are a great, inexpensive way to quickly find out if the information the candidate is providing you is correct as well as an accurate way to find out where the candidate has lived in the past. Use this search to have your background screening provider determine where to search for county level criminal records. If you are paying more than $4.50 for this search, you are paying too much. The most accurate source for criminal records is almost always at the county level. County level records are best properly searched by someone physically scavenging through archives at a public access terminal at the courthouse or with the clerk. In addition to having the most complete, accurate, and up-to-date information, county criminal record searches will also locate any pending or unresolved matters. The trick is knowing which counties to search. The best practice is to search every county the individual has lived in over the last 7 years. You should determine which counties those are by using a social security trace and not by what the candidate provides on their application. A good cost for a county level criminal search is anything under $11.00 per county. Verifying someone’s educational or academic past used to be fairly simple. A call was made to the institution and the information was verified. Today, the landscape of substantiating an individual’s previous education has changed due to the progression of online education providers and the increase in specialized global workforces. When confirming educational credentials you should be wary of diploma or degree mills. These organizations will regularly award a degree or certificate based on a detailed resume; even allowing the individual to choose graduation dates, subjects, grades, etc. Of course there are others that do require some work but without proper accreditation or authority, the result is insignificant. 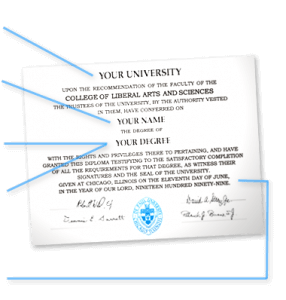 The issue is compounded when you consider that in addition to the diploma mills, accreditation mills also exist. If you are using a background screening company to verify educational history, make sure that they are investigating the validity of the school for you. There has been a substantial increase in fraudulent education history over the past 5 years. A good price for education verification is anything under $11.00 per verification plus any applicable access fees.